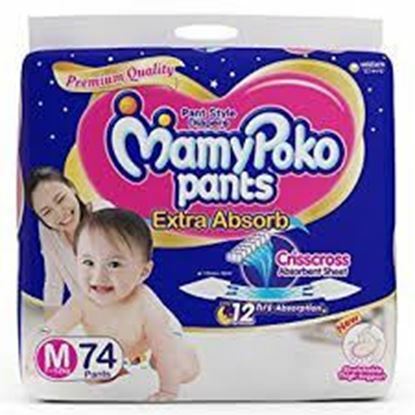 Information about Mamy Poko Pants Extra Absorb Diaper M Size: M Weight: Ideal for babies with weights ranging from 7 to 12 kilograms Upto 12 hours Absorption: Pant Style Diapers with Upto 12 hours Absorption Powerful Slim Core: Its new thin comfortable core provides up to 12 hours of absorption and keeps your baby dry the whole night. All Round Soft Elastic Band: It is easy to fit and gentle on your baby's skin. Its breathable material keeps your baby fresh and comfortable. Super Soft Material: It has cotton like soft material for maximum comfort and prevents redness or rashes on your baby's sensitive skin. Fun Winnie The Pooh Designs: Diapers can be fun too. Mamy Poko Pants Extra Absorb comes with 5 exciting Winnie The Pooh Designs in a single pack. Give your baby a happy diaper experience! 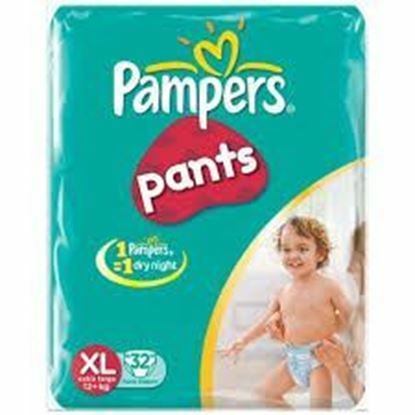 Information about Pampers Baby Dry Pants Diaper XL Pampers Baby Dry Pants Diaper Available sizes: S M L XL Salient features of Pampers Baby Dry Pants Diaper: Have 3 revolutionary extra absorb channels, that help distribute wetness evenly throughout the pants diapers, so wetness doesn’t collect in one place. Their gel layer locks wetness inside and offers up to 12 hours of dryness to help the baby sleep soundly all night. 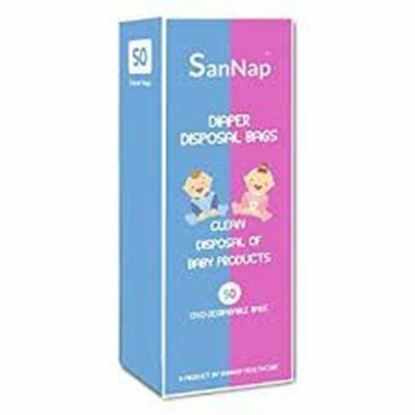 Information about Sannap Baby Diaper Disposal Bags SanNap Baby Diaper Disposal Bags provide a safer and more sanitary way to dispose of diapers. Bags seal in wetness and bacteria from soiled diapers and help control odour. Key features of SanNap Baby Diaper Disposal Bags: provides a sanitary way to dispose of diapers. Eliminates odour. Perfect for changes at home or on-the-go. Directions for use: Take out the bags from the box. Insert the product to be disposed of from the open end of the bag. Remove the plastic under the flap for the adhesive to work. Press the flap properly. Dispose of and remember to throw in a bin. Do not flush. 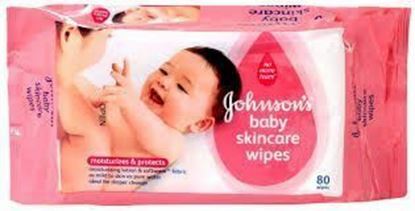 Information about Johnsons Baby Skincare Wipes Johnson's baby Skincare Wipes with no more tears formula is mild and gentle to the eyes. They are as mild to skin as pure water since they are made with 97% pure water. 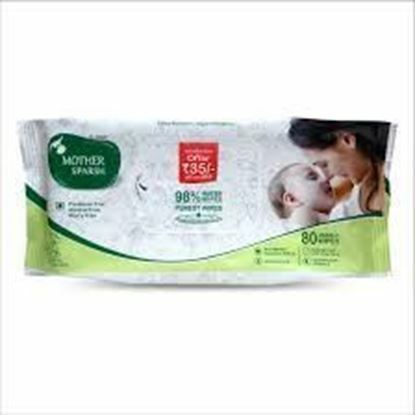 Ideal for cleansing during diaper change, these wipes are extra soft with embossed softwave fabric that helps reduce friction and enriched with moisturizing lotion to moisturize and leave a protective layer keeping your baby's skin soft and smooth. Johnson's baby Skincare Wipes has clinically proven mildness, Can be used all over the body, even around the eyes, soap and alcohol free and is ideal for diaper change. Use while changing nappy of babies or for general cleaning of skin.